Skillhaus decorators based in Manchester offer high class, high quality domestic decorating services throughout the Northwest and beyond. We are regularly instructed by interior designers and architects who demand the highest standard of work for their clients and we frequently work on properties valued in excess of £1,000,000. We assure you of the same level of quality decorating services we offer to all of our clients. 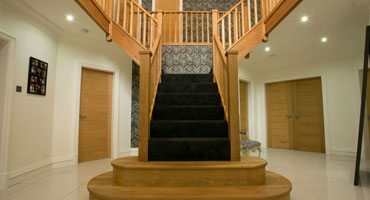 We carry out both interior and exterior work so contact us now to discuss your domestic decorating project and let Skillhaus show you how we can beautify your home. Skillhaus undertake all aspects of commercial painting, spraying and paper hanging. We fully understand the importance of ensuring that deadlines are met whilst minimising the impact on any other parts of a business. 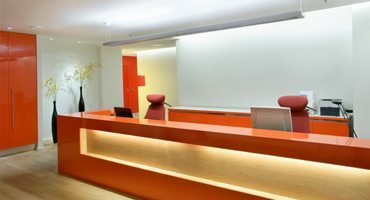 We will work outside of normal office hours when required and we will use quick drying, low odour, paints and varnishes to help ensure all contracts are completed on time, within budget and with the minimal impact possible without compromising on the quality finish we strive for on all of our commercial decorating contracts. Large scale and high value industrial decorating projects require particular skill sets, expertise and experience. Skillhaus work closely with architects and site managers to exacting specifications and liaise with other contractors and trades to ensure the successful completion of all of their industrial contracts. 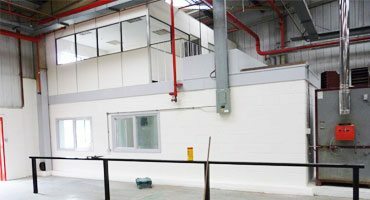 For large scale dilapidation projects and all aspects of new build industrial decorating requirements and refurbishments call the expert team at Skillhaus.